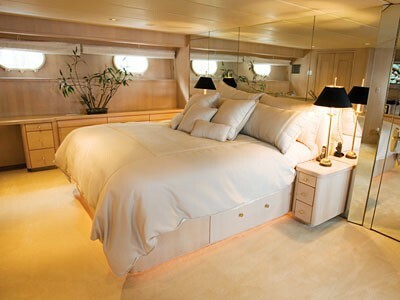 Luxury Motor yacht SILENT WORLD II was built in 1991 by Christensen Yachts and has gone through a major refit in 2007. 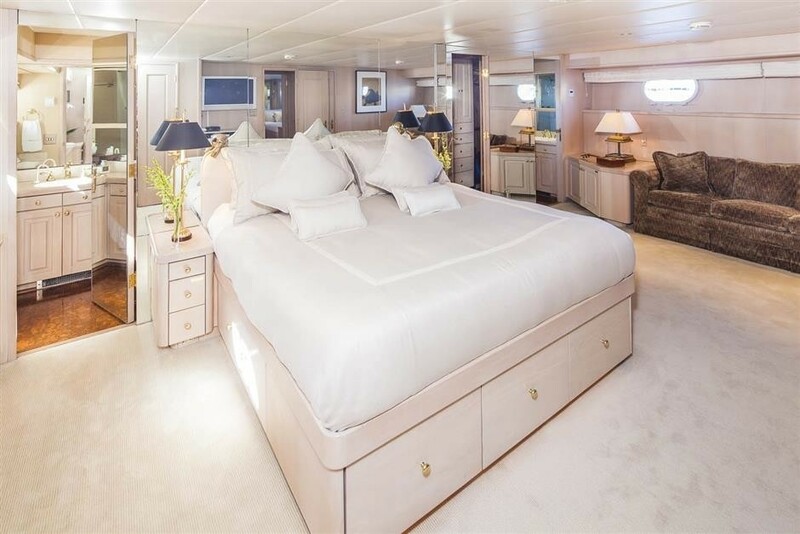 She can accommodate 8 guests in 3-4 cabins, has 6 permanent crew and cruises throughout the Caribbean, the Bahamas and New England. 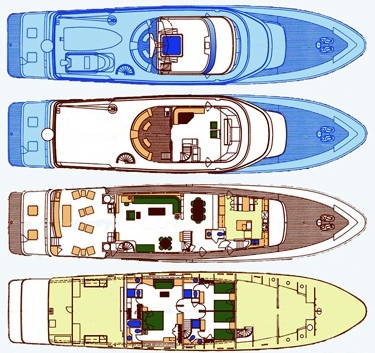 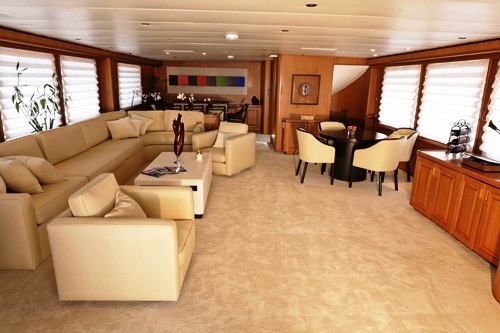 Silent World II’s major refit which was completed in July 2007 included a new open aft deck. 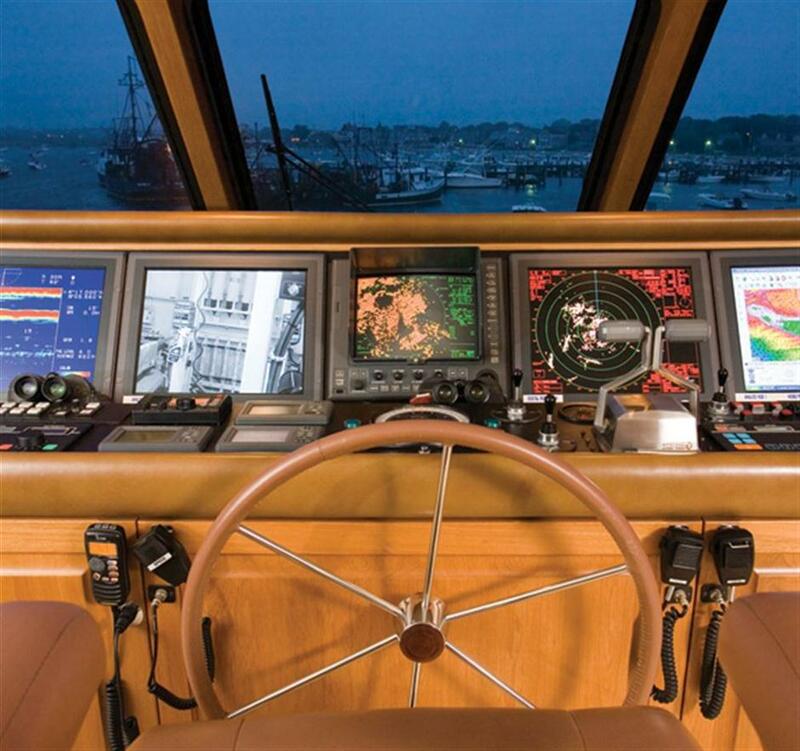 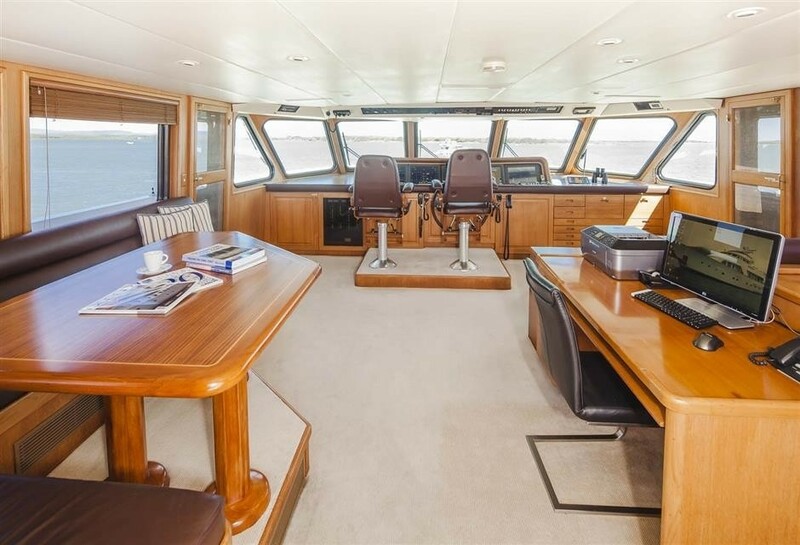 Additionally, there is a new flat screen style wheelhouse to give the boat a more modern look. 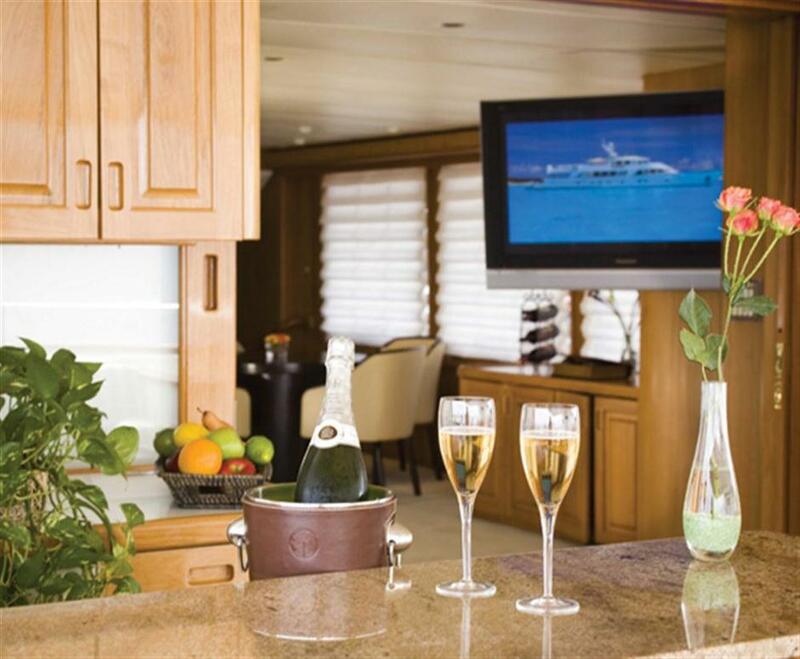 One of the Twin Cabins now has the ability to convert to a double making it ideal for either couples or families. 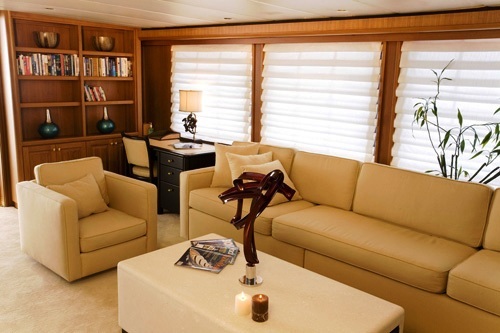 All of the soft goods including the carpet, upholstery, blinds and linens have been replaced. 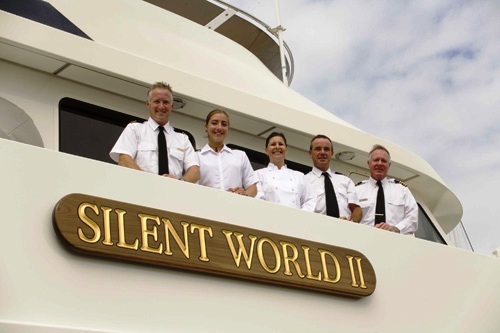 SILENT WORLD II is a classic yacht that has been updated with unrivaled comfort and style. 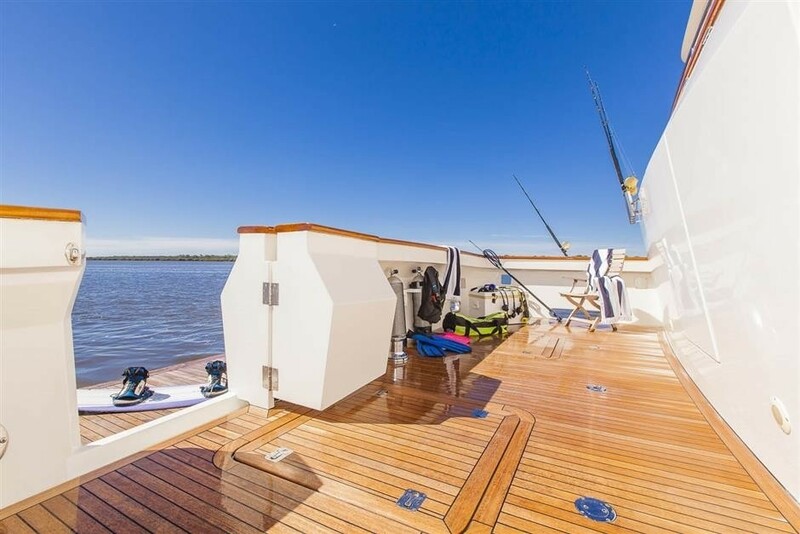 There are 3 decks to enjoy. 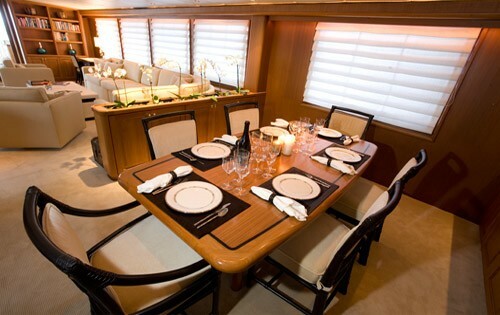 The lower aft is perfect for enjoying cocktails or a meal in the shade, the sun deck above is also a great spot for alternative al fresco dining on the large free standing teak dining table, new teak decking and removable South Beach top for shade Just aft of this is the perfect sunning area in the teak lounge chairs. 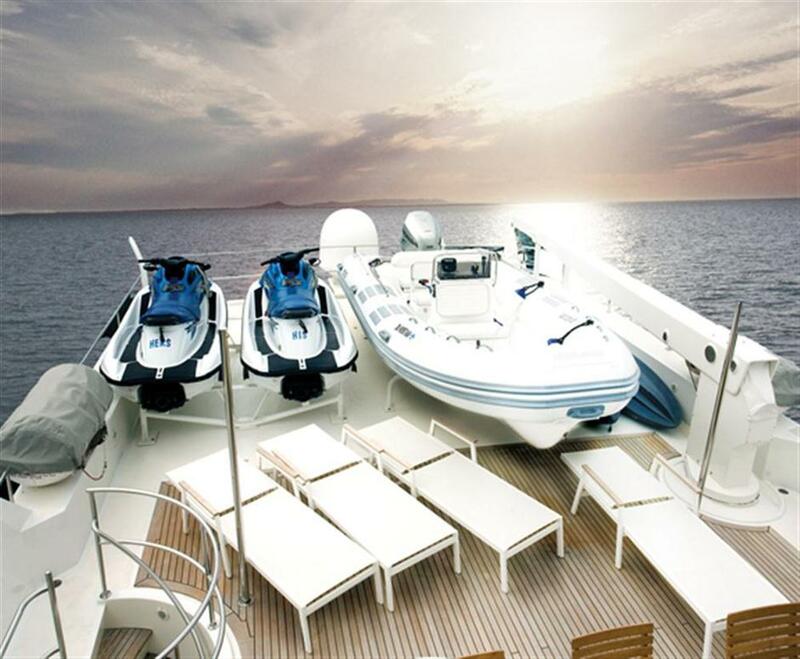 The best view is from the Spa Pool deck, which as iPod fittings so you can listen to your favorite music. 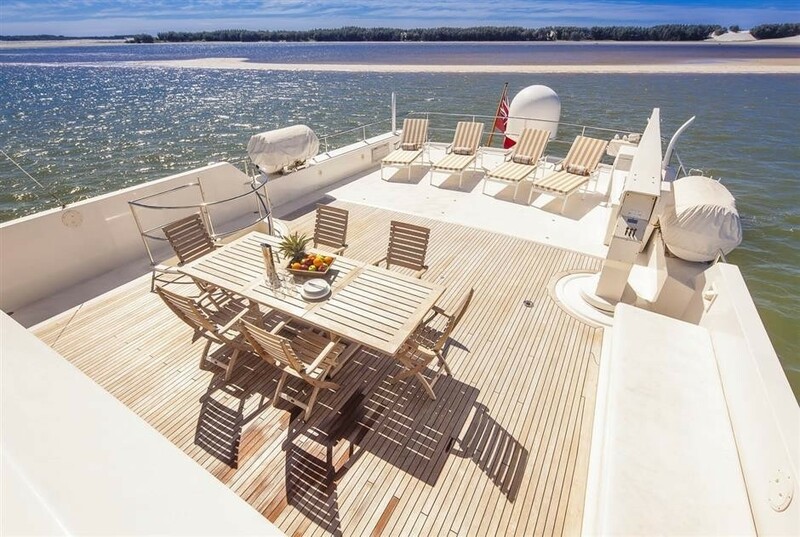 On this deck an additional sun pad, and bench seating has been added. 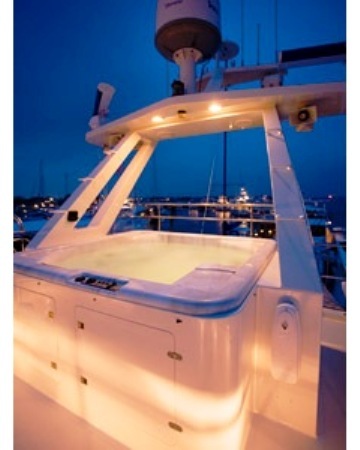 The steps into the hot tub are semi-circular with a stainless handrail on each side. 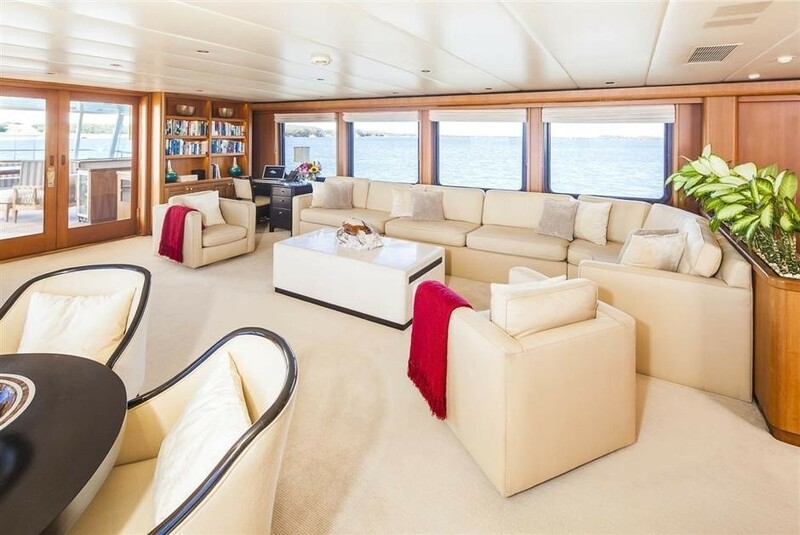 The interior of SILENT WORLD II is stylish yet relaxed. 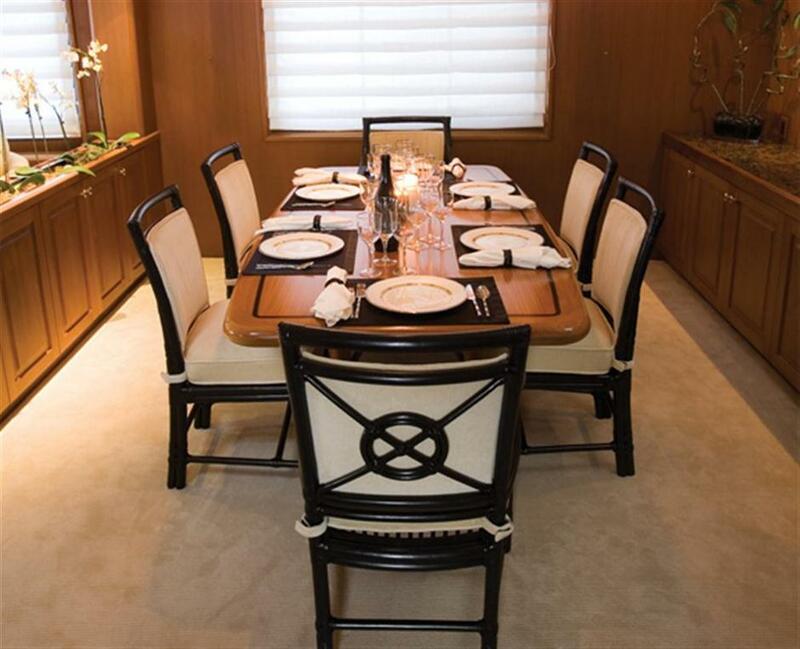 The formal dining room has room for 8 guests and the cuisine will be tailored to your specifications. 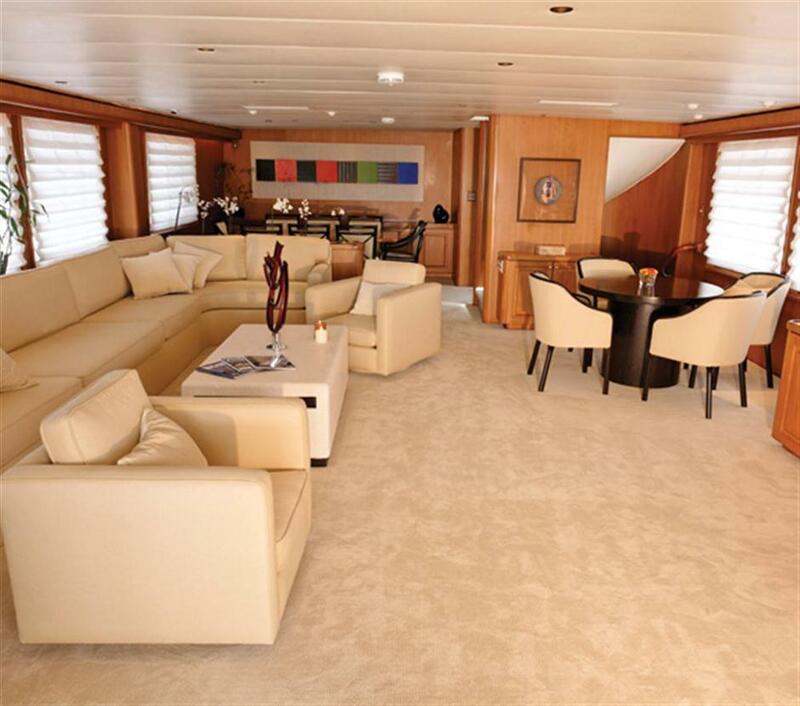 The main salon provides a perfect movie venue after dinner with comfortable chairs and a 50” plasma TV. 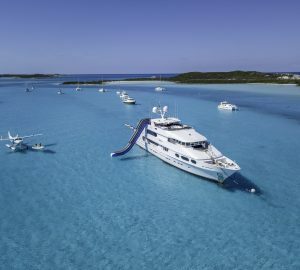 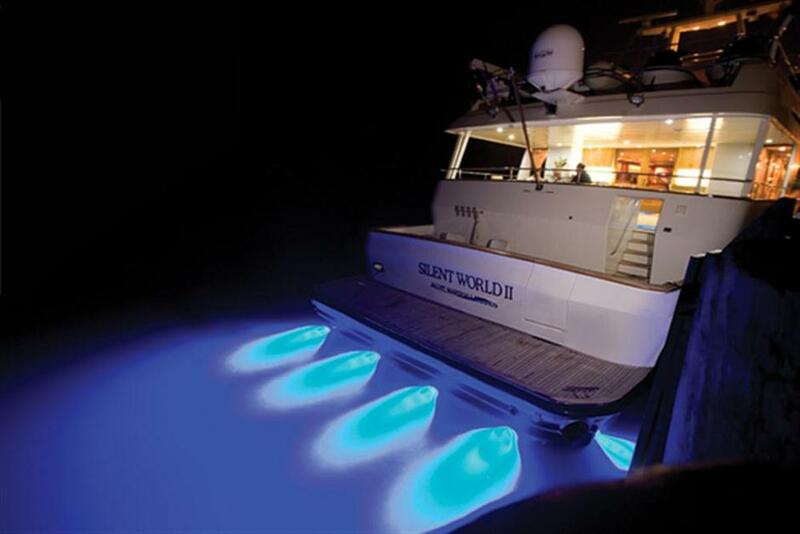 SILENT WORLD II has an excellent range of water sport toys and her crew of six who are fun and enthusiastic and look forward to welcoming you onboard. 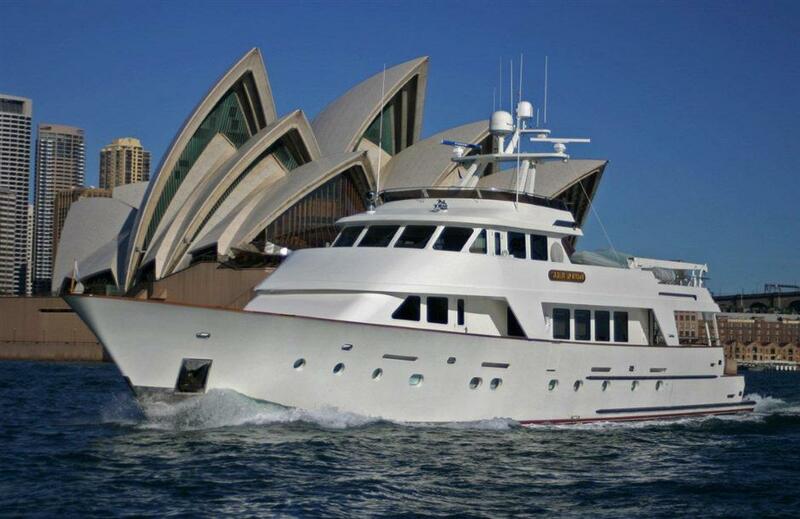 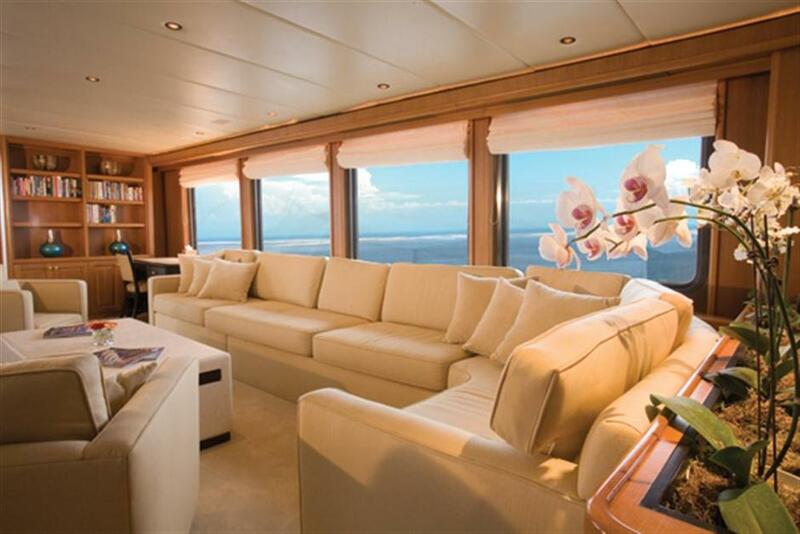 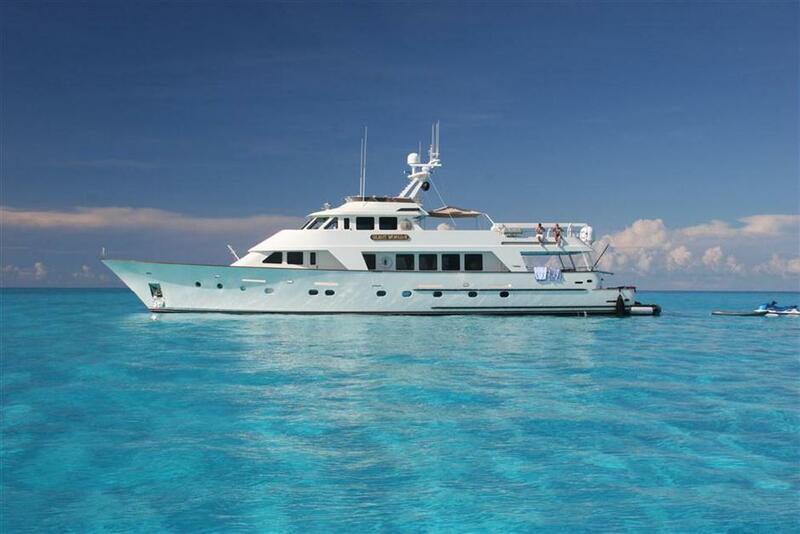 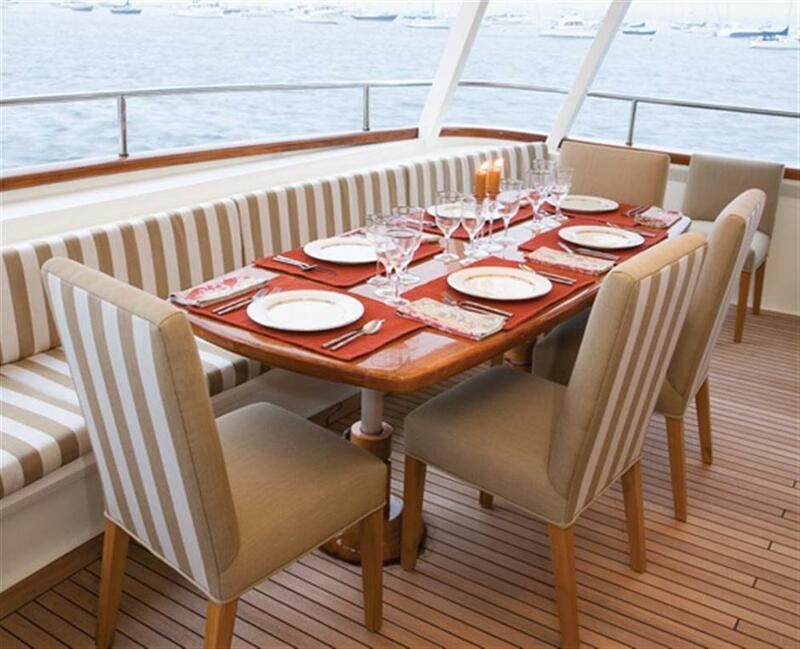 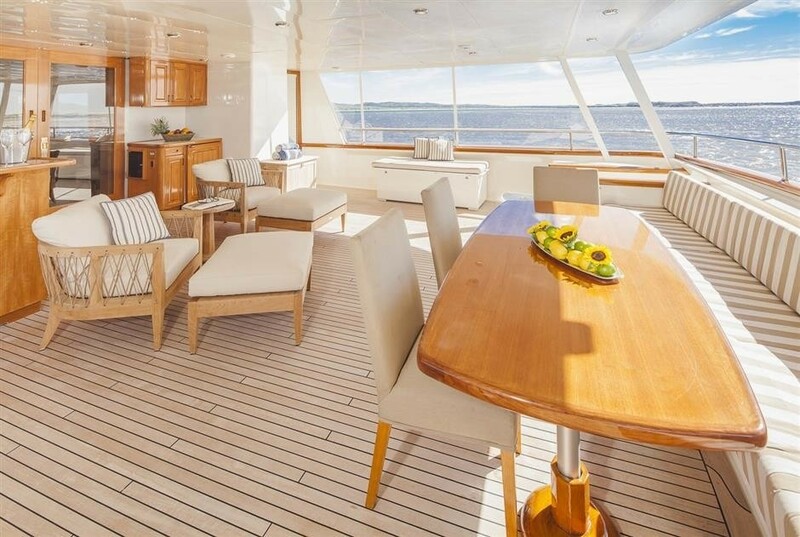 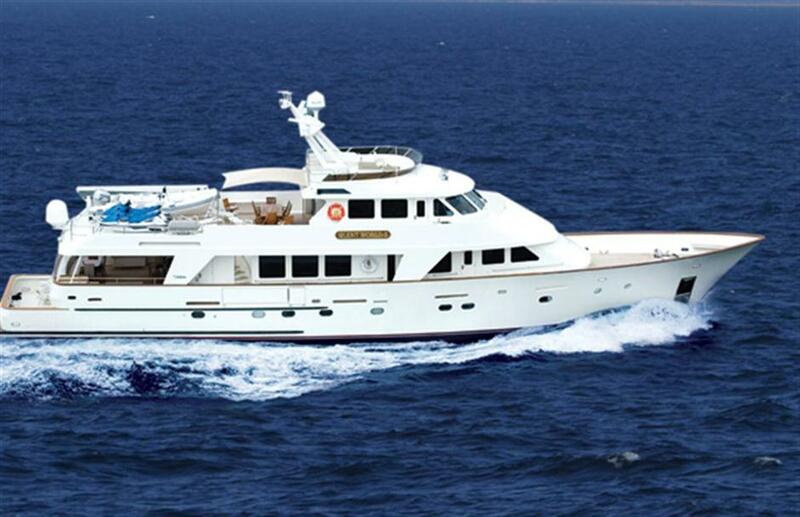 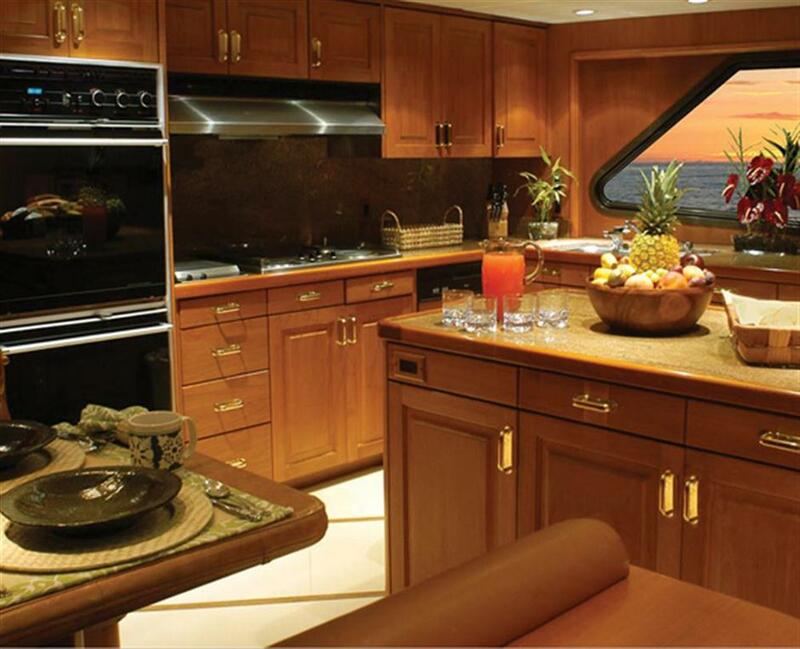 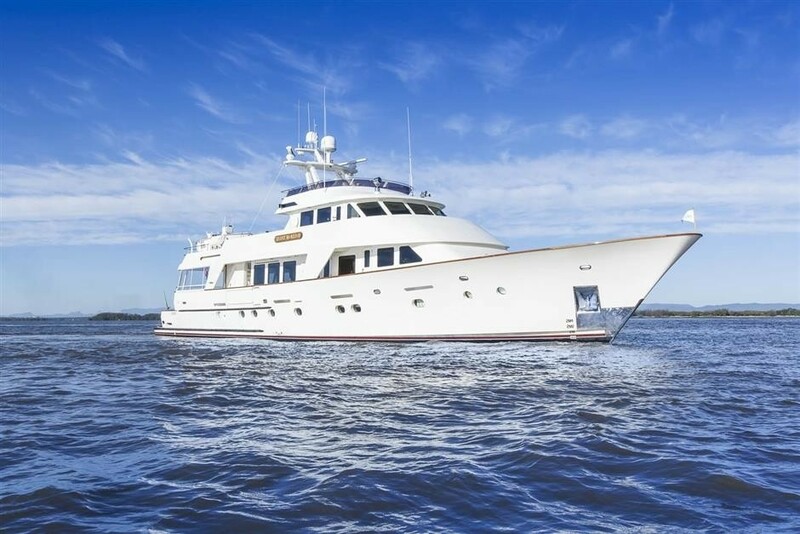 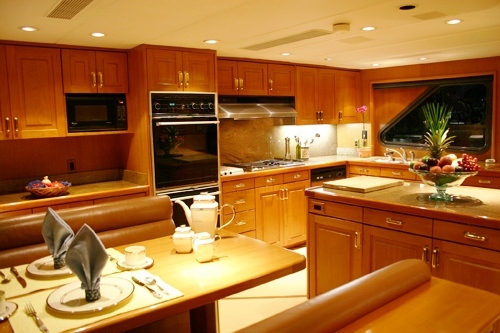 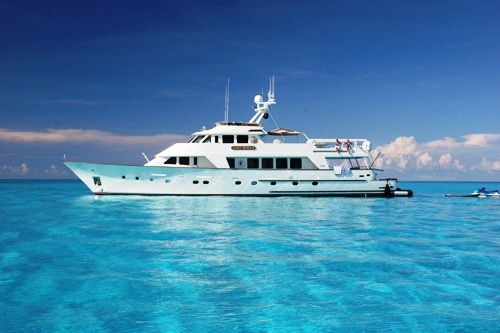 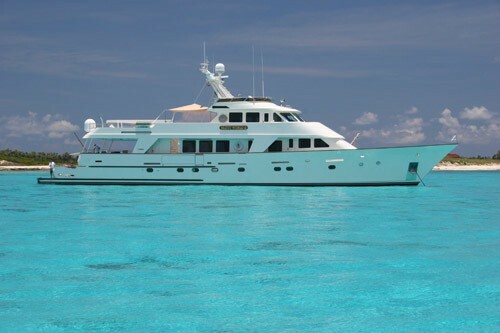 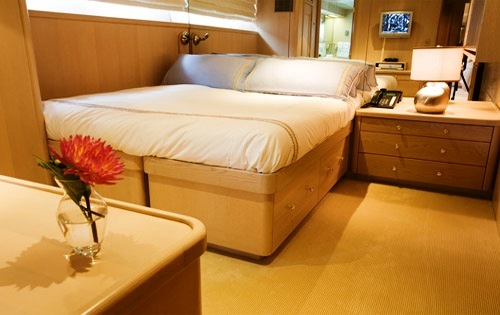 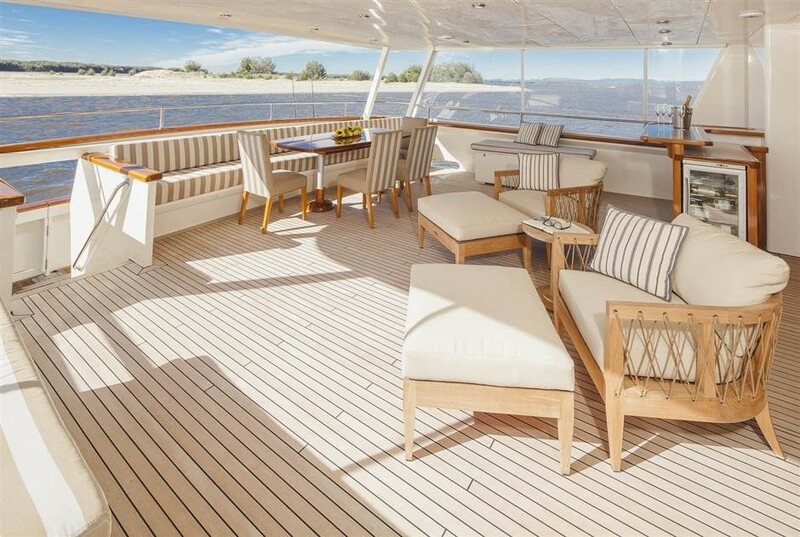 Luxury Motor yacht Silent World II can accommodate 8 guests in 3 fixed staterooms. 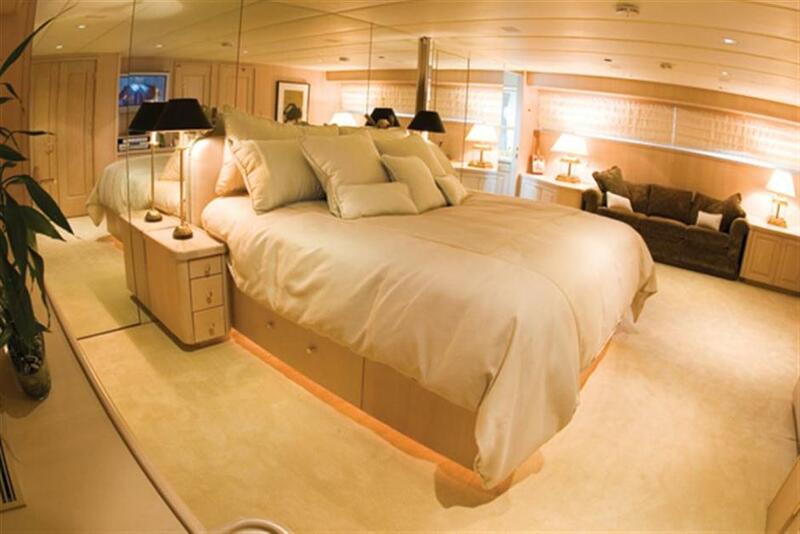 Her Master Stateroom is midship below deck and has a King bed off center to starboard and a large pull out sofa in a lounge area. 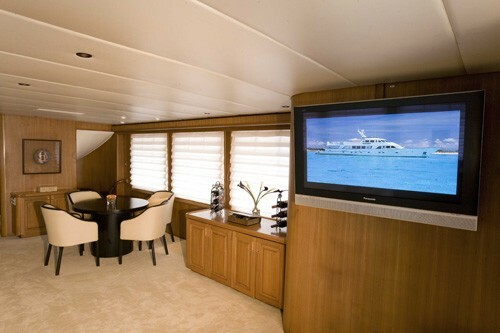 The lounge area can convert to a private cabin with ensuite head as the Master has a sliding concealed divider wall. 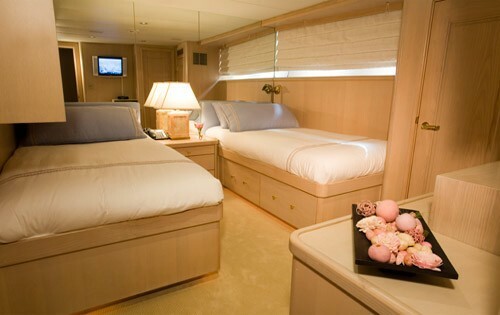 There are 2 large wardrobes one with California style organization and the other a cedar double hanging, luggage locker. 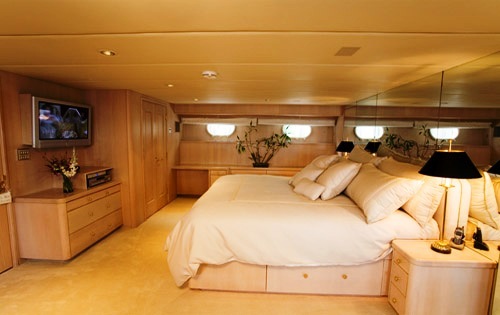 The master suite also has a plasma TV, CD, DVD and Satellite. 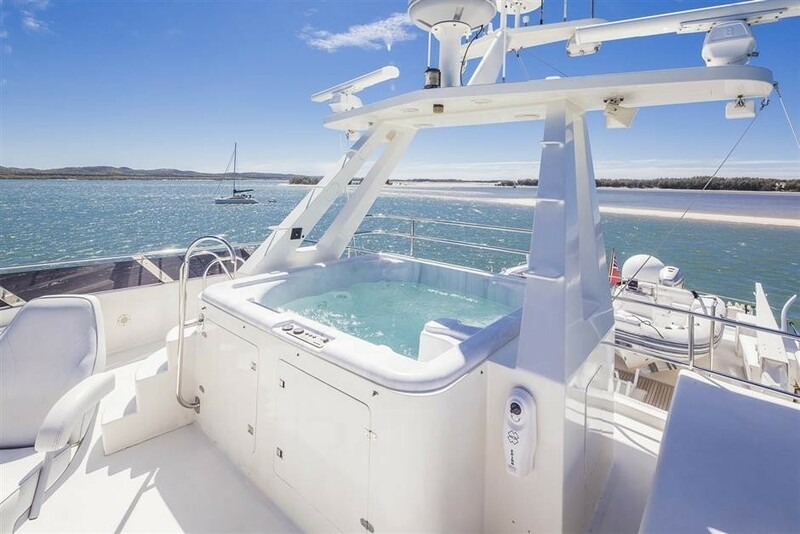 The portside master head has a tub with shower and the starboard master head has a shower and towel warmer. 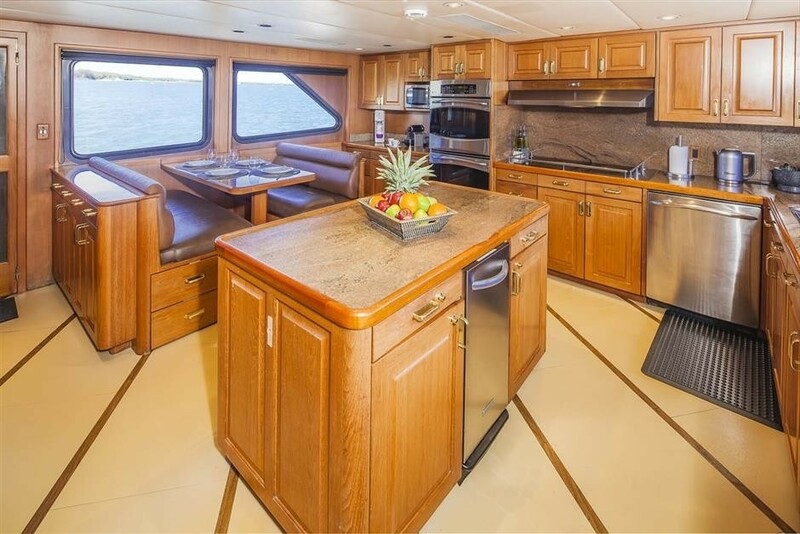 There are 2 additional guest staterooms one a fixed Twin and the remaining Twin can convert into a Double; each of these cabins have cedar closets, ensuite heads, new TV's, CD, DVD and Satellite. 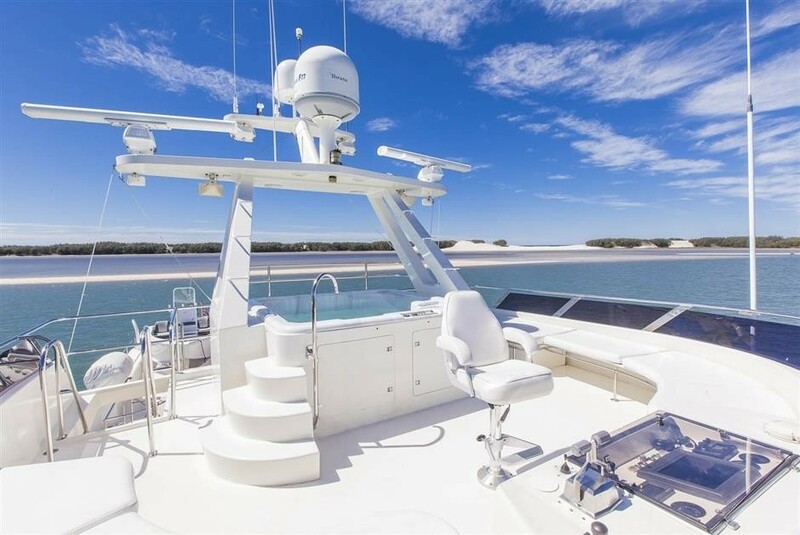 SILENT WORLD II is equipped with a range of Tenders & Toys including: A 30' Intrepid (included at the discretion of the Captain based on weather conditions for safe passages), 20' Caribe 2006 w/ 135 hp, (2) 3 person waverunners 2003, Full fishing gear, Water skis, Wakeboard / donut, 2 x mountain bikes, 2 x 2 person kayaks, snorkel gear + dive gear (rendezvous only), and 2 underwater scooters. 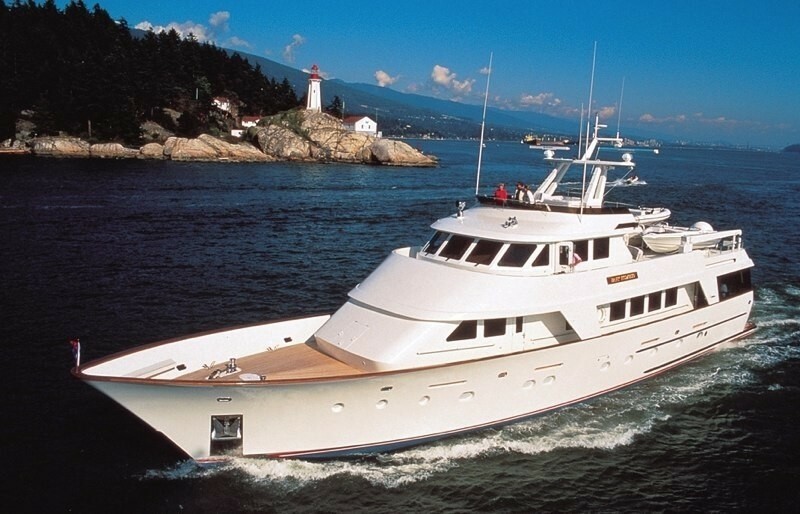 Communications on board are a Satcom & cell phone/fax. 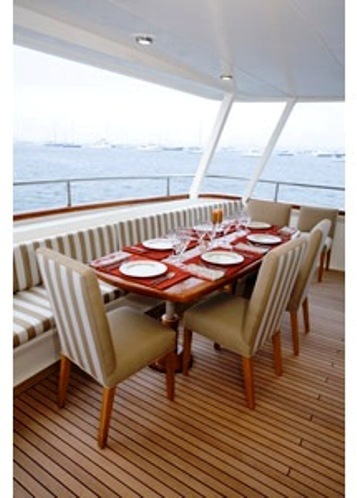 Internet access/email capacity. 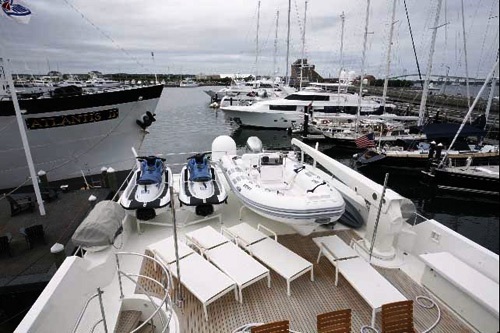 6 Satellite receivers. 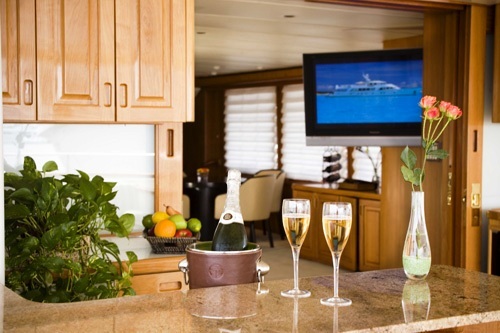 Audio Visual Equipment includes: A 42' Panasonic Flat Screen, Sony stereo CD + DVD in Salon, 37' Panasonic Flat Screen in Master (w/DVD), Flat screen TV's with DVD in both guest staterooms and Satellite throughout.